Once again the University is proud to present the 3km Santa Dash across Peel Park. 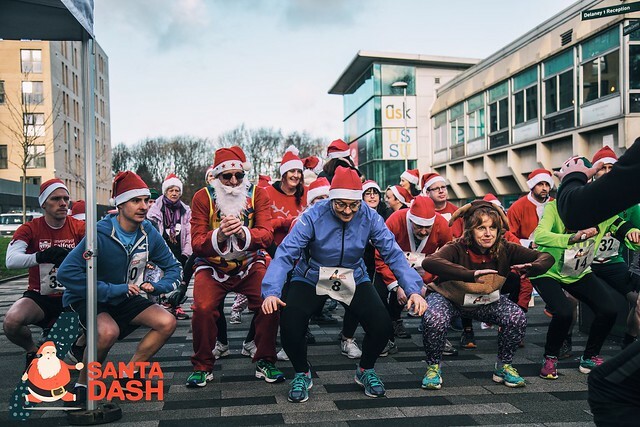 The Dash will be taking place on Friday 7 December between 12pm – 1:30pm. Registration starts at 12pm at University house and the race will start at 12:30pm. Costing just £5, £4.70 of that will be donated to Emmaus Salford – the chosen charity of DSAS Events. The event is a fun run so it is open to all abilities. Participants can also dress up as Santa (not compulsory), plus the best festive costume will win a prize! The course will take you across campus and into Peel Park, before bringing you back to campus where there will be hot soup waiting (provided by Atmosphere Kitchen and Bar) along with a medal for taking part. Places are limited so you’ll need to be quick and register here!